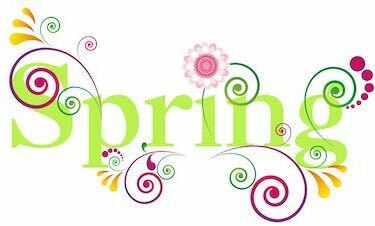 Super Special Spring Offer: Get all memberships at super special rates. Our PLR content team has removed more than 350 SPAM articles and performed filtering and corrections on more than 2000 articles available on BigContentSearch. BigConentSearch and all our BigIMToolbox products are now fully compliant with General Data Protection Regulation (GDPR) law, so you are even safer browsing our websites and using our products. We have added a Cart spinning and enrichment feature, where you can now enrich and spin the entire cart of articles and not only individual articles. More than 100,000 new PLR articles from more than 100s of new topics have been added, which equips you with more than 225,000 resources to stand out in internet marketing! BigMediaScraper is now integrated in BigContentSearch, so you can enrich your articles on the fly and even download the entire cart of enriched articles! Plagiarism score and more enhancements on the way! Start your 3-Day Trial For Just $1 or save at discounted packages. Attention Marketers: Are You Tired of Wasting Your Precious Time and Money on Content? "Discover How To Get Access To Unlimited Content, Create Hundreds of Niche Websites Easily, Generate Tons of FREE Traffic and Watch Money Flood Your PayPal Account"
So You Can Spend Less Time Online and More Time Enjoying The Internet Lifestyle! See Big Content Search in Action! Start Your 3-Day RISK-FREE Trial For Just $1 or save at discounted packages. Big Content Search gives you unlimited content available at the click of a button. No more writing at 11PM on Sunday or editing gibberish from non-native speakers! You're getting a searchable database of 225,000+ private label articles and 1,000+ private label ebooks. Plus, we are just releasing another batch of 125.000+ PLR articles, which means a total of 250.000+ unrestricted PLR content. Plus 1-click spinner integration and you're close to unlimited content you can use however you like! 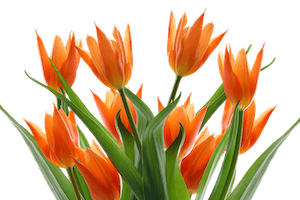 A powerful search engine and all content indexed! Everything and anything is just one click away. just click the search button! This is a real game-changer, with that much content your business' growth will explode. With the main bottleneck (content!!) out of the way, you will be able to produce small niche websites at an astonishing pace. Just follow five easy steps: find a lucrative niche, create a blog, search for content, edit & publish content, build quality backlinks to your site. The last three steps are extremely easy and fast with Big Content Search. 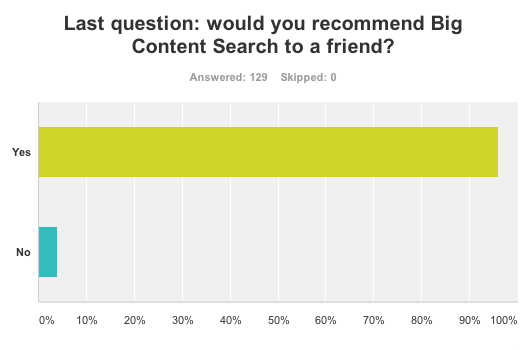 The quality at Big Content Search is outstanding. I've used the material to develop five websites in the last year, with even more planned for this year. Also, you'll never find faster or more pleasant customer support at any other online firm. I cannot recommend Big Content Search highly enough. With that many eBooks available at your fingertips you can create a new info product every week - with a complete sales funnel that includes squeeze pages, autoresponder and upsells. And you could even create a blog and post to it every week. Just imagine how much money you could earn after just 6 months if you had 24 products in the marketplace! And this is easily achievable with Big Content Search - even if you're just doing Internet Marketing part time at the moment! I just want to say that Big Content Search is the best thing that has happened to me and my business. I had always struggled with content in the past which was holding me back from exploding my business! Search engines are still one of the most important traffic sources for any website. But for Search Engine Optimization (SEO) you need A LOT of content. With Big Content Search you have 225,000 articles available to be spun and sent directly to your favorite submitter. Big Content Search resolved all my problems with finding articles that I can really use. The time that I have saved searching for articles has given me a lot more time with actually working on my business. I want to invite you to spend the next few minutes with me as I share with you how I've solved your need for fresh SEO content and almost eliminated the time you spend on this part of your business altogether. I've been doing SEO and software development for the last 7 years and I've learned a thing or two about automating a lot of our daily processes to maximize profits and reduce "work" time. Today, I employ a team of over 6 full-time and part-time programmers to develop tools and services that make my SEO business run smoother and more efficiently - without having to work more. At the end of the day that's what we're all striving for, right? Making more profit while working less... I know I am and I'm pretty sure you are too. Writing articles for SEO can be fun for some... until you need 50 of them. Researching skin care can be fun until you spend 3 hours browsing websites because you needed to write a short 10-page report yesterday. This used to eat up SOOO much of my time and money that could've been spent on more productive and profitable tasks. Aged 15 years, grown a beard and went completely bald... in a month. Does this sound familiar? Trust me, I feel your pain, I WAS THERE. "Allways take your back pack whit you..."
I was better off writing it myself even as soul-sucking activity as it is. The idea that changed everything suddenly came to me. "Wouldn't it be amazing if there was a 'Google-Like' search engine that would allow me to insert my target keyword, hit "search" and it would instantly deliver HUNDREDS of ready-to-publish content that I can use on my sites?" "What if this search engine was online based, so that I can use it on a Mac or PC and access it from ANYWHERE in the world?" "What if this same search engine allowed me to also preview the articles, AND download them either as-is OR in spintax format - just in case I wanted to use them across multiple sites?" Such a simple idea! And that's EXACTLY what I set out to build. And after a few gruelling months, sweat and tears, it was finally completed - along with a collection of articles and ebooks worth thousands of dollars. After I've DOUBLED my business and slashed my work hours BY 80%,, I've decided to share the tool with the world. Since then we've been growing exponentially - year after year - leaving a GIANT trail of happy users. Over 3500 VERY happy users to be exact... And together they've saved thousands of hours and tens of thousands of dollars. These are REAL user testimonials! [...] it has saved me a lot of time with my article creation. It couldn't get any better than this! Thanks again for such a great service. I discovered Big Content Search thanks to a YouTube video. I am really happy to have joined! It's a goldmine. I feel I belong to a community of like-minded people, learning a lot and passing on knowledge to others. You get bonuses, regular emails (if you so desire) and access to a wide range of well-written articles and ebooks of great value. 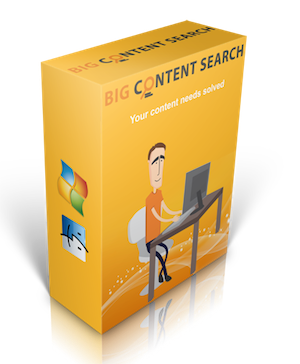 I recommend Big Content Search to bloggers, writers and all those interested in widening their knowledge. And thank you very much for being considerate towards the visually-impaired community. I find the site very accessible overall. We integrate and are integrated with other Internet Marketing tools, including article spinners, autoblogs and submitters. Automatic Submitting to article directories, Web 2.0s and Wikis with your favorite submitter. download 1152 articles for backlinks (2 quality backlinks per week for each product). Want to know how much that'll cost you if you bought them on the market? These are NOT inflated prices - they are copied directly from a website that sells content. That's a total value of $648 - just for the first 6 months - if you just stick to my plan of 1 info product per week. And I'm not even including the value of your time because you'll save at least 120 hours in six months (4-5 hours per week). These are enormous savings on their own - especially if you value your (free) time. And the longer you stay the member, the better the calculation above is. Once you get a hang of it, you can outsource everything and just keep an eye on your ever increasing PayPal balance. As a leading inbound marketing agency, we're always searching for relevant articles and content for our clients' websites. We use Big Content Search to help us source inspiration pieces. We're able to source hundreds of topical articles in a few clicks and find plenty of articles on our requisite topics. It shortens our copywriters research time from hours to minutes. After being slapped by Penguin and our ranking lost literally overnight we know what had to be done. Everyone knew that Google would zoom in on the quality of content. Duplicate content? Who cared? I still got the sites in the top of SERPs if I had enough backlinks. The game has changed and we had to focus on getting great if not the best content there was to get back in the game. We tried some services and there are some very decent ones out there but with no doubt I can state that Big Content Search played a major part in getting back to the top! Even now with Google's Penguin 2.0 doing its thing again, the ranking of our new sites with Big Content Search content remain stable in the SERPs. For this I want to thank you and a big thumbs up from the LPFM crew. Keep up the good work! We Also Have a TON of Amazing Bonuses! That you CAN'T access anywhere else on our site! I had to squeeze my business partner's arm to get you the special bonus especially for this offer! In this no-fluff guide of 50 pages you will find everything you need to know about Private Label Rights and how to best use them for your profit. how to create a complete home study course. We'll also show you how to create and dropship CDs and DVDs for your own home study courses without you touching a single CD or spending more than a few dollars. This is your complete guide to product creation, digital and physical. I recently started in affiliate marketing after retiring from the military and one of the best tools I discovered is Big Content Search. You can buy with confidence because if for ANY reason you don't love Big Content Search, email us within 60 days and we'll refund you everything, down to the last penny. No questions asked! P.S. : Still on the fence? Don't forget - try us for $1 and if you don't like it, we'll refund you everything. P.S. : We're seriously considering increasing the price very soon. Our closest competitor is priced at $297 per year. So sign up now and reserve your price! Under what license is this content offered? 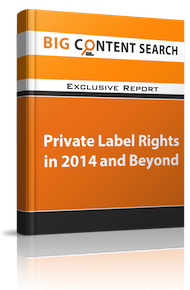 It's offered as Private Label content, also known as Private Label Rights. This is a type of license where authors giveaway or sell most or all of their rights to the content. This usually means you can modify the content, sell it, resell it, claim authorship etc. And if you change the product significantly you can even claim copyright. I've heard I need to only use unique content but this content is shared. There are many uses for private label articles and eBooks, many of them don't include Google and "duplicate content" (think newsletters, ebooks, reports, membership sites). Also see next question. Will Google penalize me for using "duplicate content"? No, Google does not penalize duplicate content. Duplicate content is a myth. For example: most if not all news websites publish the exact same news stories they receive from one of the few news agencies (Reuters, Associated Press and others). That's usually thousands of copies per each news story but none of the websites get penalized. And this is just one example. You need to make sure your blog has one main topic (don't post about weight loss and kitchen sinks), and that you add images and videos and a unique article now and then. Do you have articles and ebooks on my topic? 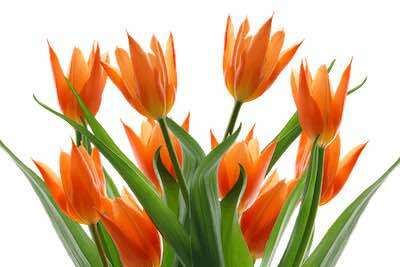 We recommend you search for content within the search box in the middle of this page. You can also request and vote on new topics inside the members' area. How long are the articles and ebooks? All articles, with the exception of recipes, are at least 300 words long and up to 900 words. All ebooks have at least 5 pages of content, most are longer than 10 pages. Do I have to pay for articles which I add to Download Cart? No, this is a cart only to help you download a batch of articles. Big Content Search using APIs: Chimp Rewriter, Spinner Chief, Spin Chimp, Spin Rewriter, The Best Spinner, UCG, WordAI. Services using Big Content Search API: Blog Hatter, Blog Post Spinner, CMS Commander, G Alert Plugin, Ultimate Demon, Wiki Robot.